Books and booze, bank holiday essentials. 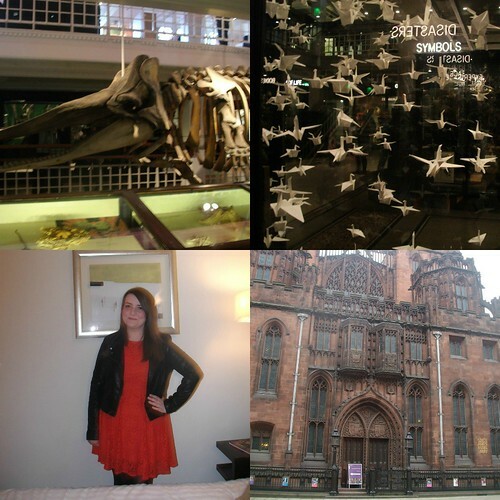 I went to Manchester Museum where I looked at all the minerals, the John Rylands library (bit of a busman's holiday) and for a dance in 42nd Street. 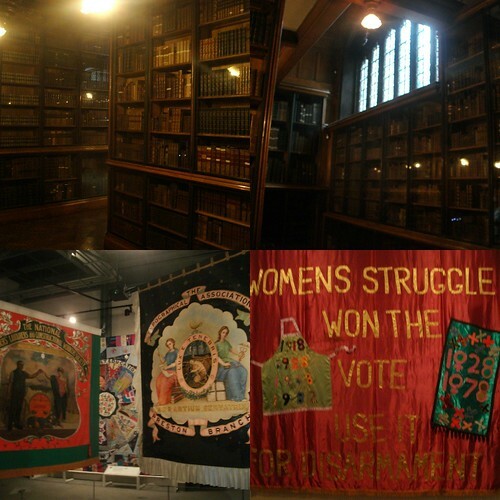 I really enjoyed the People's History Museum, there were a few mentions of south Wales Chartist and socialist past which I loved and there was a strong focus on labour history and women's involvement in it. Well worth a visit if you are in Manchester. The next day was a much more girly affair and I went for afternoon tea at Sugar Junction, I chose a gorgeous Jubilee tea with a hint of citrus and it was served with a lemon cupcake, selection of sandwiches, tarts and fudge. Yum! We explored the city and I did some shopping and got a lovely ring from Afflecks. I had a great time in Manchester and after my third visit I know where I like to hang out and how to get around. You are so lucky if you are from Manchester, it is such a wonderful city. I love the feeling of the place, the accent and the people. Really hope to have another trip there in the summer and possibly pop to Liverpool and Sheffield too. Looks like a great weekend all in all, I haven't been to Manchester in such a long time, this post makes me want to visit again. Looks like you had a wonderful time...the afternoon tea looks fab! 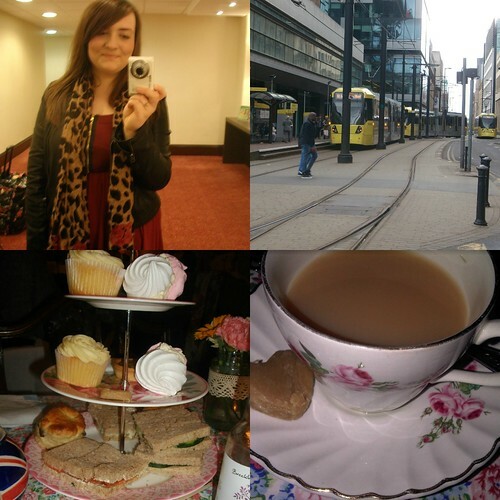 I love the pictures, I hope to visit Manchester one day! I swear there will be many tears of joy if I ever do get to take a holiday over the pond. I love the pictures, especially of the old books and bookcases. You look fabulous, love your leather jacket. 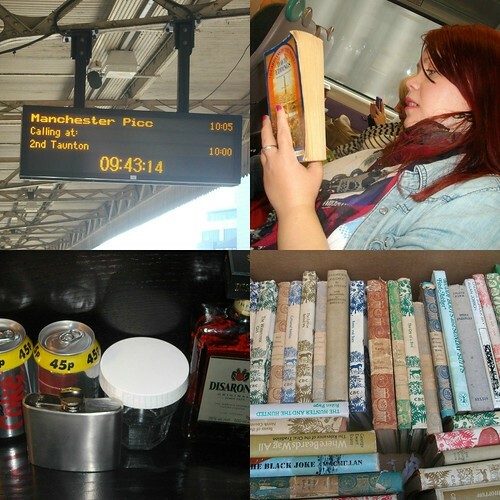 Looks like such an awesome time, I really must visit Manchester it looks ace! I have never been to Manchester, looks like you had a great time. The afternoon tea looks yummy! Ah look at all those old books - so pretty, and that tea sounds delicious. I have never been to Manchester but my boyfriend's brother lives there so I am going to have to make a visit! I love Manchester too, I have visited a couple of times. I am yet to find Afflecks, and I am desperate to! Everyone says it is fab. Great photographs, I love Manchester! Is that the red lace dress I gave you? You look HOT! !